A few years ago, words like these would have been scoffed at by most mainstream Americans, treated as the unlikely emanations of radical greens. (Trust me on that.) But within the past year or so the tide has turned. Katrina had something to do with that. So did Al Gore. The success of Gore's movie and book, An Inconvenient Truth, has consolidated public sentiment. Americans now understand, as Europeans and Japanese did a decade ago, that global warming is real and dangerous. The doubters have dwindled to an insignificant minority, lobbing increasingly erratic volleys from their Exxon-funded bunkers. The reason, as Gore makes clear in his movie's PowerPoint presentation, is that the scientific evidence is overwhelming. Burning fossil fuel = carbon dioxide. Carbon dioxide = more trapped heat. More trapped heat = a world going increasingly berserk. Look at the pictures of melting glaciers, look at the charts for increased rainfall, look at the data on storminess. Last year saw 27 named storms, breaking the old record of 21. Hurricanes appeared off the coasts of South America. Hurricane Wilma set a record for lowest barometric pressure recorded in our hemisphere. The year's last hurricane, Zeta, formed on December 31, was still circling in the Atlantic on January 6. This is the way God used to deliver messages back in the not very subtle day of plagues and floods. Gore begins with hero scientists like Roger Revelle, who first began to imagine the magnitude of this tragedy, and continues through the latest scientific findings, like last fall's revelation that the ice over Greenland seems to be melting much faster than anyone had predicted—news that carries potentially cataclysmic implications for the rate of sea-level rise. The long prelude is over—the nearly two decades when those of us who knew about global warming felt like prisoners in a bad dream, unable to convince anyone else that the bear was real, the poison deadly. As the strange reality-defying fog of the current administration finally lifts, global warming will become, as it is elsewhere, a political given—something like crime or low test scores that every politician is pledged to fight. Their methods will differ (and those differences will be crucial), but the essential facts will be noncontroversial. It shouldn't have taken us 20 years to reach this point (and it wouldn't have, if the energy lobby hadn't poisoned the waters of public debate with bogus research), but it's cause for celebration that we've come this far. In an odd way, it's also cause for celebration that we've reached this point with only modest contributions from the realms of business and religion. That means that there are reserves unspent in two crucial institutions. Just as interesting is the role Christianity has and hasn't played in responding to this crisis. So far climate change hasn't been a central concern of any faith communities, but that may be starting to change. Earlier this year, a group of leading evangelicals released a proclamation of sorts, saying global warming is real, is caused by humans and needs to be brought under control. It wasn't, on the face of it, all that much, and not as rhetorically strong as resolutions adopted by the mainline denominations years ago. But consider the circumstances: this was the first major issue on which important evangelical leaders had broken with the Republican right—something that took real courage. In fact, the signers came under immediate attack from the tub-thumpers like Pat Robertson and Jerry Falwell. But most—including pastors like Rick Warren and a slew of seminary presidents—held firm. Such change doesn't happen overnight, of course. In fact, many years of careful organizing and writing by men like Calvin DeWitt of the Au Sable Institute of Environmental Studies and Paul Gorman of the National Religious Partnership for the Environment had helped set the scene. Sir John Houghton, an evangelical scholar and scientist who played a key role in the international panels studying climate change, sealed the deal with a speech to a prayerful meeting that gathered quietly more than a year ago in a Maryland conference center. Indeed, much of what progress has been made has come from remarkable people working on the edges of their denominations—among them Steve MacAusland and Sallie Bingham, who founded Episcopalian Power and Light, which now boasts many interfaith branches, and Fred Small, Unitarian architect of the fledgling Religious Witness for the Earth. Other small groups working on their own have come up with campaigns like "What Would Jesus Drive?" Indeed, there may have been more political action in the 1990s, when the NCC funded organizers in more than a dozen states. That effort has subsided, and though climate change remains on the overstretched agenda of the council's talented EcoJustice Task Force, much of the heavy lifting is being done in a very few states like Oregon and Maine. With its carefully woven cloak of doubt and controversy finally ripped away, the fossil fuel industry may soon be ready to cut a deal. The bar has been set so low by the current administration, however, that many environmentalists may be ready to settle for almost anything—a lite version of the Kyoto treaty, say, such as the one proposed by Senators John McCain and Joe Lieberman (which would doubtless have even more loopholes by the time it emerges from Congress). Such a deal would probably call for very modest reductions in the emission of carbon dioxide in the next 20 years, making sure that nothing upset the economy in any way. The latest science mentioned by Gore—and developed in far more depth in a series of remarkable recent speeches and articles by NASA's chief climatologist James Hansen—makes it clear that we can't afford to delay dramatic action. Hansen's assessment is simple: we need, as a planet, to be emitting less carbon dioxide inside of ten years—an enormous task given that China and India are finally beginning to use power in appreciable quantities (and not for luxuries but for the second light bulb or first refrigerator in a house). To give some sense of the scale: most scientists estimate that merely to hold climatic disruption at its current Katrina-spawning level we'd need an immediate worldwide 70 percent reduction in fossil fuel use. That is, we need an all-out and truly radical commitment both to developing new energy sources and to changing behavior so we use far less. Not only hybrid cars (and no other kind) but also hybrid buses; not only solar panels but also new building codes demanding real insulation; not only biodiesel but also bike lanes. We'd need to change the tax laws so that carbon gets expensive fast, and then rebate the proceeds to reward the most efficient (and to make sure that poor people don't get too badly hurt in the process). It's almost mandatory, I think, that the churches help lead the way. Mandatory because by now this is a theological issue. All the forces of nature that we used to call "acts of God" have become, at least in part, acts of humankind (excepting volcanoes and earthquakes—though scientists this winter announced that lurching ice had more than doubled the number of earthquakes under Greenland). Go through the hymnal excising all the tunes that locate God's majesty in the operations of nature and you'll be left with half a book (and almost none of the songs people really like to sing). Mandatory, too, because taking on climate change would mean taking on the central unchristian element of American culture: its wild individualism. More than anything else, fossil fuel has allowed us to stop being neighbors to each other, both literally—we move ever farther into ever emptier suburbs—and figuratively—we depend less and less on each other for anything real. (The SUV, with its almost invariably single passenger, is the symbol of this trend.) This is what makes the politics of real change so difficult. Politicians are not willing to ask anyone to change. Not when three quarters of American Christians tell pollsters that they think the phrase "God helps those who help themselves" can be found in the Bible. To break that spell, to wake us up to the love of neighbor demanded both by Jesus and by the physics and chemistry of our predicament, will take something shocking. The evangelicals delivered with their statement, and there are signs that they're prepared to go farther. I'm not sure what a comparable gesture from the mainline would look like, but I have a hunch that it would resemble the civil rights movement. That is, churchpeople in jail, arrested for protesting outside Environmental Protection Agency offices and coal-fired power plants. That is, churches demanding deep and dramatic changes from parishioners: walk to church or come on a bus, or in a carpool at the very least. Most of all, since this is a mass problem that will be helped only by mass action, we need to make it clear that any politician whose plan doesn't call for cutting carbon by half or more simply hasn't understood the situation—or has understood it and sold out. The crisis we face is at least as morally urgent as the civil rights movement—maybe even more so, since this is a ruthlessly timed test. Get the right answers fast, or don't bother. If we don't get the right answers, the results are entirely predictable. Christian Aid estimated a couple of months ago that 184 million Africans could die this century from the effects of climate change. Half of all species could disappear. On the other hand, if we even start to get the answers right, it will amount to a real revolution—for the society but also for the church. Especially given the connection between climate change and poverty, this issue could bring together Christians of all stripes. The fuss over creationism seems mighty unimportant, for instance, when you stop to consider what a blasphemous decreation we're engaged in. 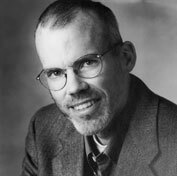 Bill McKibben is the author of The End of Nature and a scholar in residence at Middlebury College.